New Nokian WR D3 winter tyre is „very recommendable“ in the winter tyre tests 2011 of the renowned German car magazines „auto motor und sport“ and „Auto Zeitung“. The Nokian is the best on snow and in the dry. It clearly wins the driving tests on snow. „Currently best winter properties compared to its competitors, good driving behaviour in the dry“, the judgement of „auto motor und sport“ praises. Maximum score, shortest braking distance, fastest handling time, and strongest traction on snow for the Finn. Nokian WR D3 is awarded price-performance winner being the most low-priced of the very recommendable premium winter tyres with a price of 112 Euros compared to the others which cost around 133 Euros. Showing excellent results, it clearly wins the snow tests: 100 points of a possible score of 100 with „auto motor und sport“, 142 of a possible score of 150 with „Auto Zeitung“. „Outstanding properties on snow characterize Nokian WR D3“, „Auto Zeitung“ summarizes. „Brand new Nokian WR D3 is a highlight in this assessment. ”The skill to achieve top scores in the tyre test is to have ideal results on all road conditions,“ „auto motor und sport“ explains. „Or at least to be strongly outstanding in one area so that slight weaknesses can be compensated in the scoring system under certain circumstances. German automobile association ADAC ascertains the Nokian’s strengths: „Top mark 1,8 in the dry“. Its handling is outstanding, marked 1,6. With the good marks 2,1 on snow and 2,3 on ice it performs well even in other driving disciplines and backs up its high safety. Its eco friendliness is proven by the green marks 2,0 in fuel consumption and wearing. Mark 1 is the best mark and 6 the worst mark in the German mark system. Durable Nokian WR D3 is tailored for medium-sized and small family cars and drivers who value safe, economic driving. Nokian WR A3, on the other hand, is optimised for larger and more powerful vehicles with a special emphasis placed on the tyre's sensitive driving response even at higher speeds. Nokian WR tyres are available in a wide range of sizes from 13” to 20”, speed ratings ranging from T to W (190 – 270 km/h). These new winter products aimed particularly at the Central European markets are from now on available for retail. For tyre change, Nokian tyres are obtainable on good terms at local tyre dealers, as complete winter wheels with rims, too. The wear indicator DSI (Driving Safety Indicator) and the snowflake symbol WSI (Winter Safety Indicator) help to enhance safety and improve driving comfort. The numbers indicate the thickness of the remaining tread’s main grooves in millimetres. As the tyre tread is worn away, the individual numbers disappear. A profile depth of 4-5 millimetres is necessary for safe driving in winter. If the snowflakes are no longer visible, the tyres should be replaced with new ones in order to guarantee adequate safety for winter driving. I like them so much I will keep them on through the summer as well. I haven't had to use them on very icy or snowy roads, but certainly I have been delighted. Never skidded where my past tyres would have done, including driving on snow, slush, grass, muddy/leafy road edges, braking sharply on wet roads. 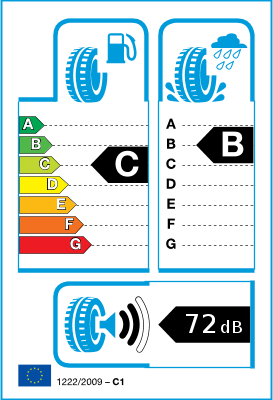 I expected poor noise levels, but they are actually better than the tyres my car came with and I don't get tinnitus like the original ones did. The original tyres must have been pretty poor, as my car computer never went over 45mpg . With my winter tyres it mainly shows an average of 54mpg on windy country roads (though I am sure it overstates all the time.). Very quiet & supple ride.Quite different to the standard Continentals.Tempted to keep them on all year.Highly recommended. 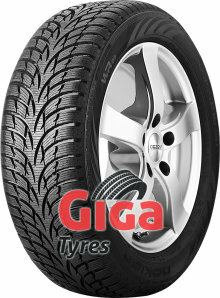 Excellent winter tyre that also copes reasonably with warmer weather while Spring is still arriving. I was pleasantly surprised at how much nicer these felt to the Goodyear Ultragrip 8s fitted to my other car. The Nokians felt more sure-footed, with less squirm, although that could equally be down to the differences in vehicle (Goodyears on a small, light, 2-seat sporty type & the Nokians on the much heavier Toyota). That said, they felt like ordinary tyres in ordinary conditions, very good in the wet and with quite low noise levels and without much (if any) difference in fuel economy. I would 100% definitely buy these again and I would recommend them to others.